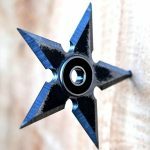 Zing Toys and Moose Toys announce new entrants into fidget toy market, catapulting the craze to the next level. The fidget toy craze of 2017 is still going strong with no signs of slowing down anytime soon. Moose Toys and Zing Toys are jumping into the fray with new fidget toys of their own to build on the toy craze. First, Moose Toys’ fidget toy is better known as Flipslide. Flipslide is a portable electronic game involving color and pattern recognition. Players can compete solo or with other players as they twist, slide, and coordinate the game squares. The game features a variety of modes to keep players engaged. One mode focuses on speed while another focuses on building your memory skills and there is even a mode inviting friendly competition. Paul Simon, one of the CEOs at Moose Toys, stated the company is thrilled about Flipslide because it demonstrates Moose Toy’s ability to innovate in this space. They have left their mark on the fidget toy market with an electronic take of fidgeting. Solomon noted that it may be difficult to put down the game, implying it is infused with addictive gameplay. Simple and addictive gameplay are a fantastic start … but will it stand the test of time and be more than just a toy trend? We’ll have to wait and see. Zing Toys has a couple fidget toys to add to the mix, including Tumblstix, Dama, and Klixx. 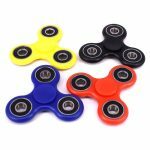 Previously, they had introduced Spinzipz, skill play colored spinning toys that are stackable, which introduced a new dimension to the world of fidget toys. Tumblstix is a fidget toy that has you performing tricks while balancing and catching a cylinder as it does rolls and flicks. Dama is a game featuring a ball on a string with a catcher ring. In this game of coordination, you have to not only catch the ball, but do it with a sense of style and skill. Finally, Klixx from Zing is a fidget toy made of colored chain link pieces that connect with a cool click, hence the name Klixx. They really click! The fidget toy trend has been gaining momentum for a while and Zing was lucky to already have these fidget toys in their development pipeline. Zing’s strategy is to create a brand category statement with an assortment of fidget toys for consumers to choose from. This year they will have Spinzipz, Tumblestix, Dama, and Klixx, which will all collectively serve to make a statement and expand the toy craze. 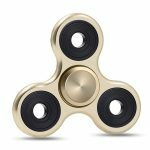 With all of these new additions to the world of fidget toys the question remains whether fidget toys, including fidget spinners and others, will be able to be more than just a fad. With major toy companies like Moose Toys and Zing Toys making strides to develop category statements by building portfolios to expand the craze, it could very well turn out that fidget toys could be more than just a fad and transition into a permanent toy category. Considering fidget toys are designed to relieve stress and anxiety, they could potentially become a staple in the future. Plus, they are great for people with ADD, ADHD, autism, and other special needs as well as people who love to fidget. What do you think – will the fidget toy craze be more than a trend or will they be a passing fad? Why or why not? Sound off in the comments below.